Rapper Drake’s proud dad, Dennis Graham has gotten an enormous tattoo of his boy’s face on his right arm. 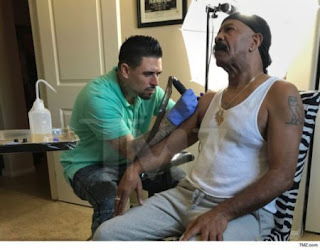 TMZ reports Drake’s dad got the tattoo to match the mug shot of him Drake got tattooed on his own arm in 2014. Dennis also wants the world to know he loves his boy.